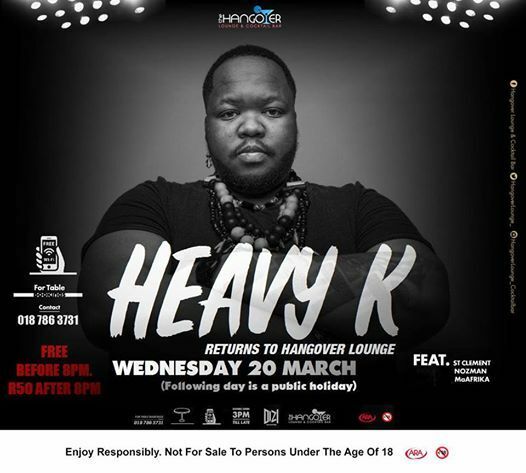 On Wednesday the 20th of March we have Heavy-K Drumboss live at Hangover Lounge & Cocktail Bar once again!!! 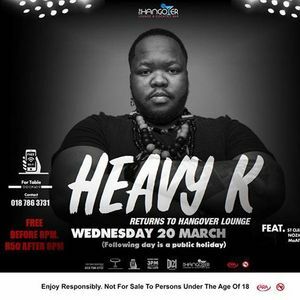 FREE ENTRY before 8pm, R50 after 8pm. The next day is a PUBLIC HOLIDAY, so we're partying all night long!!! 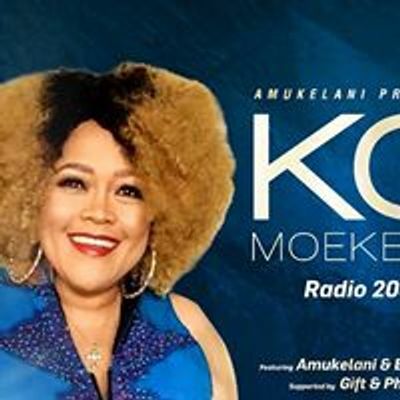 Supported by MaAfrika, St Clement, Nozman and surprise acts.